Although they’re two very separate parts of the body, our hip and knee joints have an uncanny ability to wear out at the same time. It’s not that much of a mystery when you think about it – the deterioration of one means we tend to put excess pressure on the other when we go about our day-to-day business. Consequently, total hip and knee replacement procedures overlap more often than we think. Makes perfect sense from a medical point of view – if you’ve come in for one treatment, it saves time and money to get both parts replaced. However, concerns have been raised across the board by both practitioners and patients about the safety and quality of this scenario, and for good reason: they are two very distinctive and incredibly specialised procedures. And naturally, the risk of post-surgical complications automatically double – if one goes wrong, the patient will find it difficult to perform the necessary exercise regime required to bed the other replacement in. However, a recent study compiled by the Department of Orthopaedic Surgery at Ohio’s Cleveland Clinic and its counterpart at the SUNY Downstate Medical Center in Brooklyn, found there is very little risk involved in ‘joint’ joint replacements. And in many cases, there is a strong link between dual replacement procedures and a general improvement in patient quality of life. The study, which aimed to compare the operative time and the incidence of 90-day complications between overlapping and non-overlapping total joint arthroplasties, as well as evaluating the effect of the duration of overlap on operative time, scoured the data of 9,192 patients who underwent primary total hip arthroplasty or total knee arthroplasty at a large academic hospital from 2005 to 2014. Their ground rules for what constituted an ‘overlap’ procedure and what didn’t was simple: a procedure was defined as ‘overlapping’ if it had an incision to closure overlap time of at least 1 minute with any other surgery performed by the same surgeon. According to their findings, a total of 2,669 procedures fell into the ‘overlap’ bracket – which was 29% of all replacement procedures. 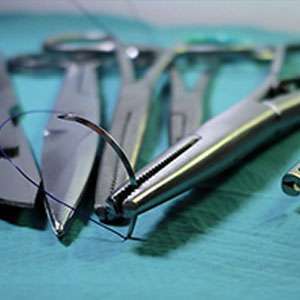 After examining the length of operative times and the incidences of complications within a 90-day period between both overlapping and non-overlapping surgeries – and adjusting for baseline characteristics – the research teams came up with the unsurprising finding that operative times were longer for the overlapping surgery group. However, when they examined the instances of wound dehiscence, superficial infection and wound hematoma, they discovered very little difference in the overlapping and non-overlapping groups. And when it came to instances of thromboembolic events and periprosthetic joint infections, there were fewer occurrences amongst the group who had had both procedures done at the same time. So what conclusions can we draw from this? From the practitioners’ viewpoint, a dual joint replacement procedure isn’t the risk that many thought it was. Although overlapping surgeries are inevitably a more drawn-out procedure, they can save time and money in the long run, for many reasons. For the patient, the findings can be a reassuring factor. It’s clear that the medical community is more than capable of delivering a quality procedure while addressing two major problems at the same time, and one period of recovery is always better than two.